What happens when a wheelchair doesn’t fit you? If you’re in a wheelchair that doesn’t fit you properly, you probably already know the answer to that question. It is very uncomfortable and unnerving experience. Contrary to popular belief, wheelchairs are not a one size fits all type of device. For a true, comfortable wheelchair experience, a wheelchair with a proper fit is required. Wheelchairs come in all shapes and sizes but that doesn't necessarily mean that you can just pick whatever size you think is closest and purchase it. It is highly recommended to get a wheelchair fit or at least measured to insure maximum comfort, especially if a wheelchair is your main source of mobility. You don’t want to just get a rough estimate on something that you’re so dependent on. Effects of long term poor posture in a wheelchair can lead to variety of problems including regular function, skin integrity, breathing issues, and even digestion complications. 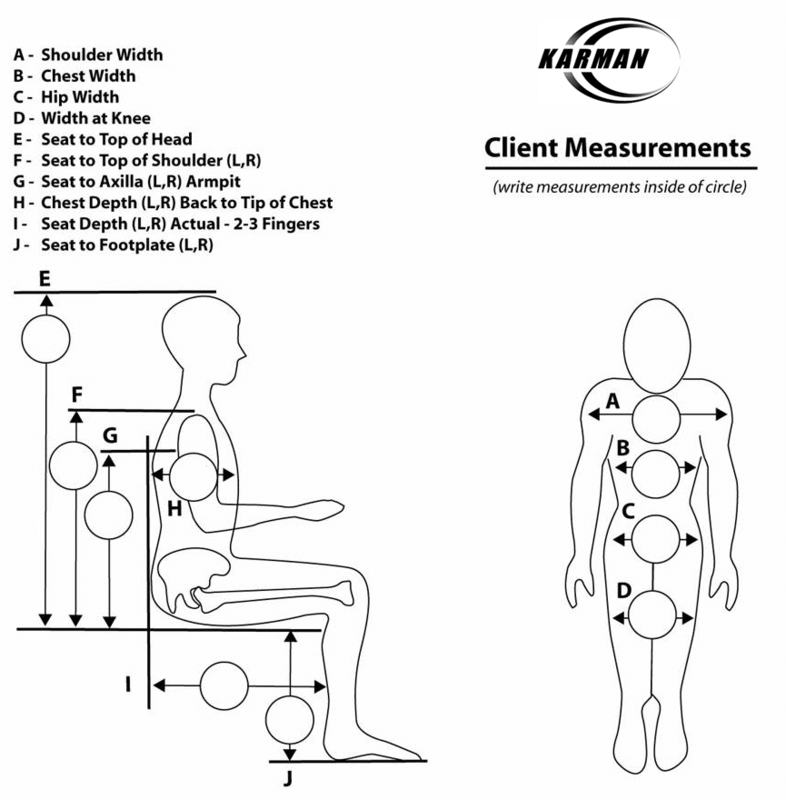 The most important measurement that should be looked at when fitting a wheelchair include: hip width, femur, upper and lower leg length, trunk height, buttock and elbow height, chest width, chest depth and most importantly, forearm length. There are many other factors that should be taken into consideration especially if is a feature that you favor over another. The dimensions for the measurements that you require can be supplied to the dealer or manufacturer during the time of your purchase. These measurements can be translated into equipment dimensions so that they can help you choose the wheelchair that best suits your needs. The different levels of seat adjustment can play a huge difference when it comes to your level of comfort. Seat width and seat depth alone can easily determine what your wheelchair mobility experience will be like. Leg rest adjustment is another important factor in terms of comfort. Make sure not to skip out on this feature. The length of the leg rests should not be set to a height drastically different from the cushion surface as you want the foot to be comfortably placed on the footrest. Any foot deformity or special condition should be taken into consideration as these are important factors to note. If the leg rest length is too short, you’ll feel an increase in pressure on your sitting bones which would obviously be uncomfortable. If it’s too long, it causes an increase in pressure on the thighs.